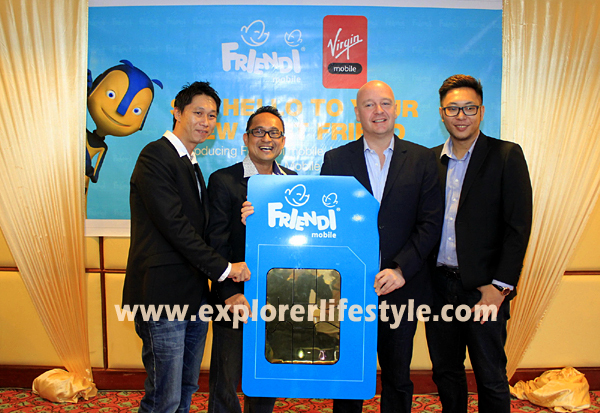 Virgin Mobile MEA Group teams up with Kumpulan Perangsang Selangor Berhad to launch FRiENDi mobile prepaid service. On the 12th September 2013, Virgin Mobile MEA (Middle East & Africa), an associate company of the UK-based Virgin Group, led by global entrepreneur icon Richard Branson, and Malaysian partner Kumpulan Perangsang Selangor Berhad, have launched the FRiENDi mobile prepaid service to help Malaysians communicate better and more frequently with their local and global circle of friends and loved ones. Quoting data released by Malaysian Communications And Multimedia Commission that the mobile penetration rate at 143.4% in the second quarter of 2013, FRiENDi mobile Malaysia Chief Executive Officer Mr. Jonathan Marchbank has the view that while Malaysia is undisputably a mature market for basic voice and messaging services, there are still many things that can be done to give the customers a better and more fair mobile experience.